Bigger versions are available in Amazon.jp: Kobato. #4, XXXHOLiC #16. The cover illustration of Kobato. #4 was first published in the November issue of Newtype magazine. XXXHOLiC #16 will be released on December 22, Kobato. #4 on December 26. Ah, so that’s where that image of Kobato came from. No Yuuko…but the xxxHolic picture is quite lovely. And the Kobato cover is darling as well. Thank you for posting! I really like them! Kobato looks adorable, while xxxHolic’s cover is gorgeous! Watanuki looks appropriately mature (he IS 21, even if he physically didn’t change) and melancholy, and looks amazing in drag as always (I’m sure he got pointers from Fai over the years). 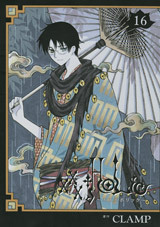 Woow xxxholic’s cover looks so beautiful! Watanuki is looking great! Seems so o_o unless we will see her shadow in the back cover? Yuuko better be on the other side of that cover or i am unleasing HELL! 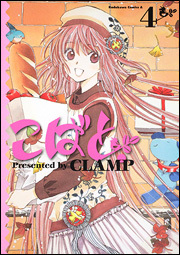 Question: Did you hear that Yen Press will be publishing Kobato in the US this coming May in celebration of CLAMP’s 10th anniversary? Kobato. cover is so cute and xxxHOLiC cover is so cool. Assuming the chapters in this volume are at the point they should be. For Kobato, eh… I want something new, but this is fine, too. (oh dear. I wasn’t signed in when I posted this…) Oops. Only CLAMP and Kodansha know how many volumes will have. Thank you very much shaoran!!! Oooh, I wonder if I could get someone to get it for me.